Did you know that January is National Creativity Month? To spark some creativity, I’m offering up this Photo-a-Day Challenge for January 2015 that is focused on showing off your creative side. To join in simply post a photo to Instagram, Facebook or Twitter using the daily word as your inspiration, and use the hashtag #DailyPhotoHappiness so that we can check out your photos and follow along. 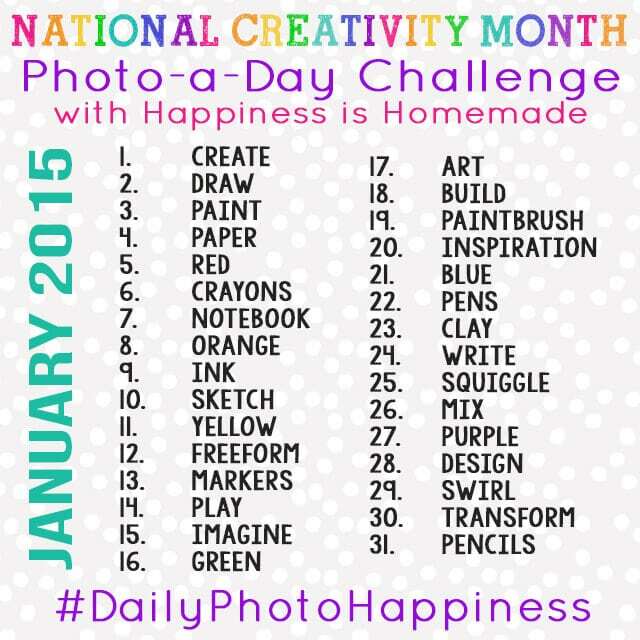 I can’t wait to see all of your creative photos!